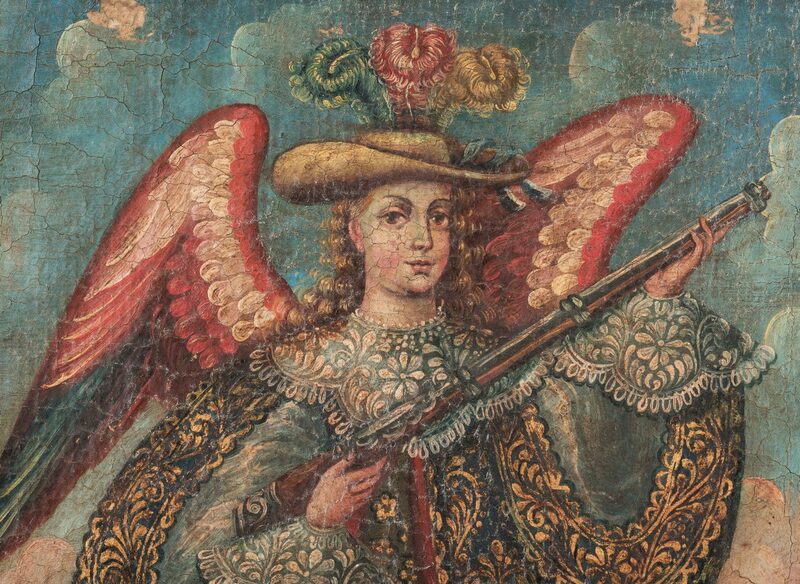 Spanish Colonial Cusco School painting, after "Asiel Timor Dei" by Jose Lopez de los Rios, also known as the Master of Calamarca, oil on canvas laid down on board, depicting an angel dressed in 16th century style clothing, holding a rifle and standing in an outdoor setting. 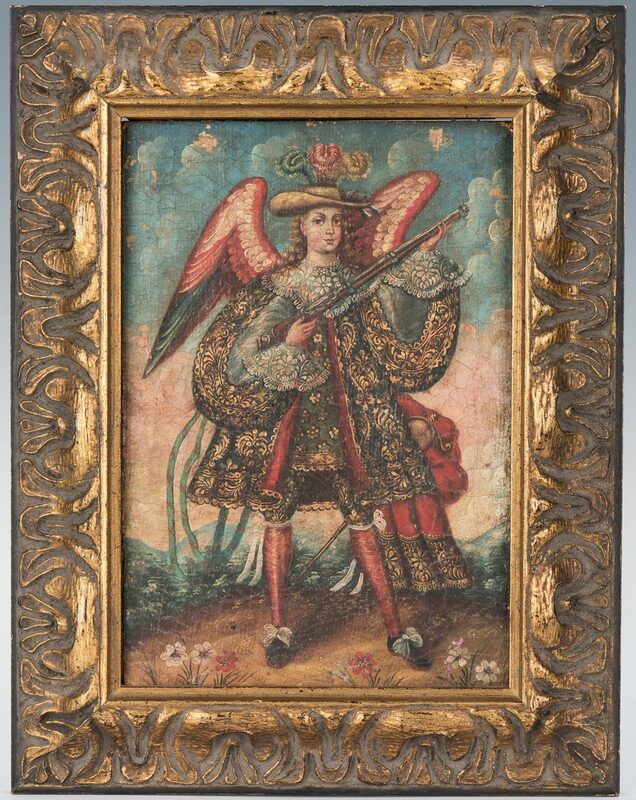 Housed in a 20th century frame. Sight – 11-7/8" H x 8-1/8" W. Framed – 16-3/4" H x 13" W. Attr. 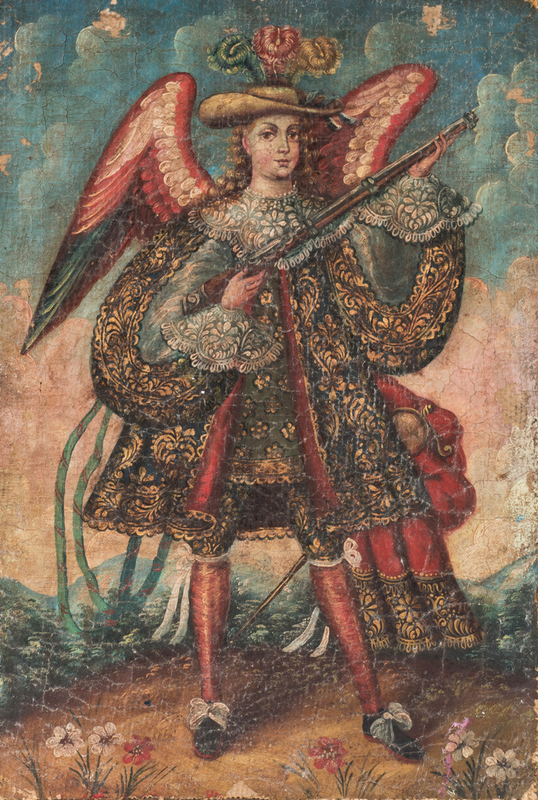 Peru, 18th century. 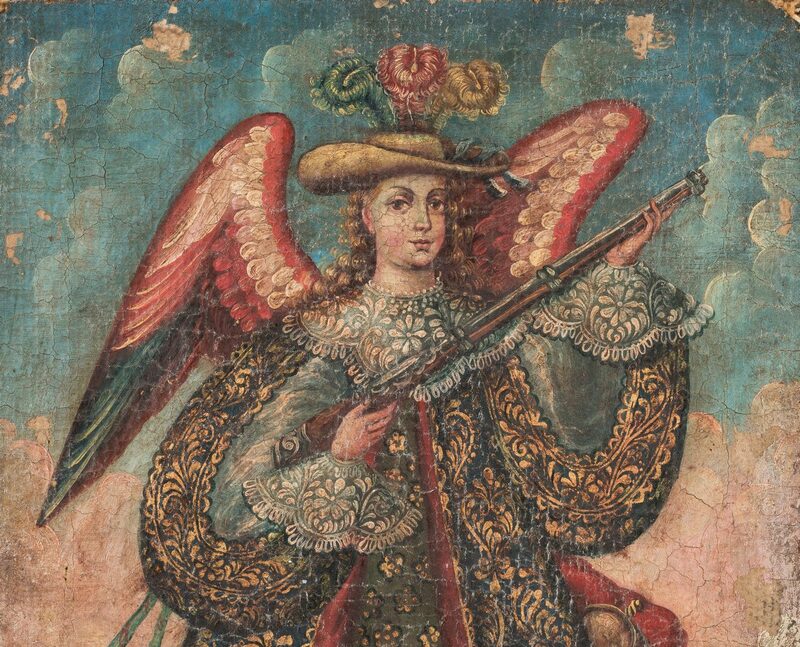 Note: the Bolivian painter Jose Lopez de los Rios and his workshop turned out a number of paintings depicting angels carrying harquebus guns during the late 17th and 18th centuries. 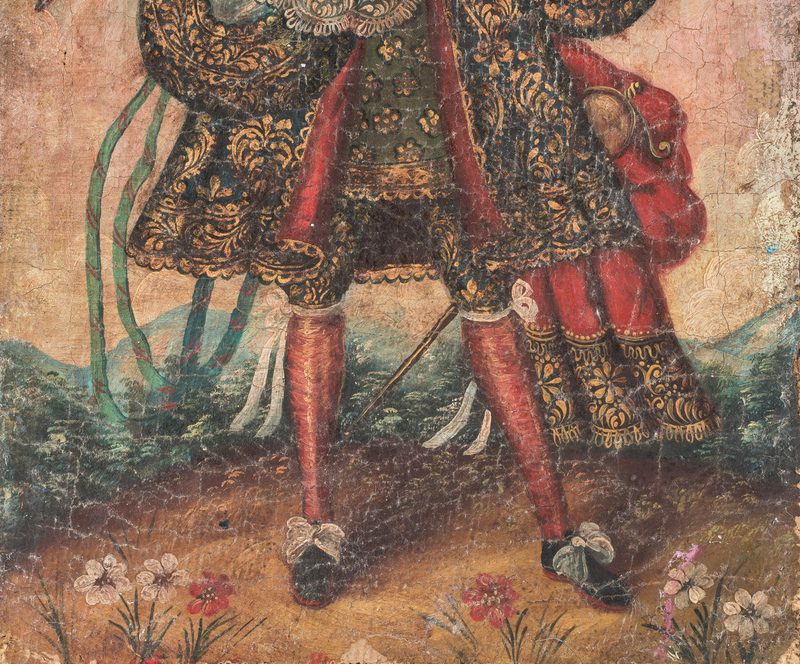 Such paintings, intended to graphically illustrate "The Fear of God,"continued to be produced through the 19th century, primarily in areas visited by missionaries including Peru, Bolivia, and Argentina. 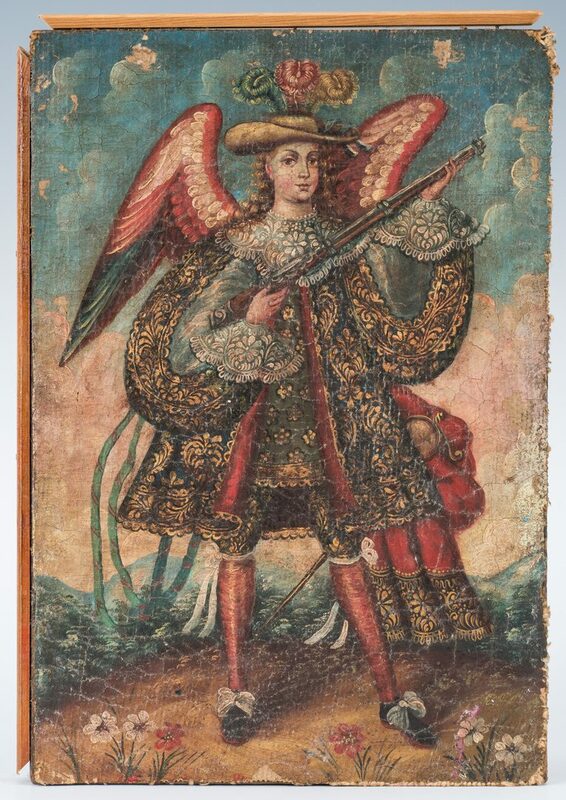 Provenance: The estates of Olen Bryant and the late Vanderbilt University art professor Thomas Brumbaugh, Clarksville, Tennessee, from the collection of Fernando Juarez Frias, author of the book "Retablos Populares Mexicanos: Iconografia Religiosa del Siglo XIX". 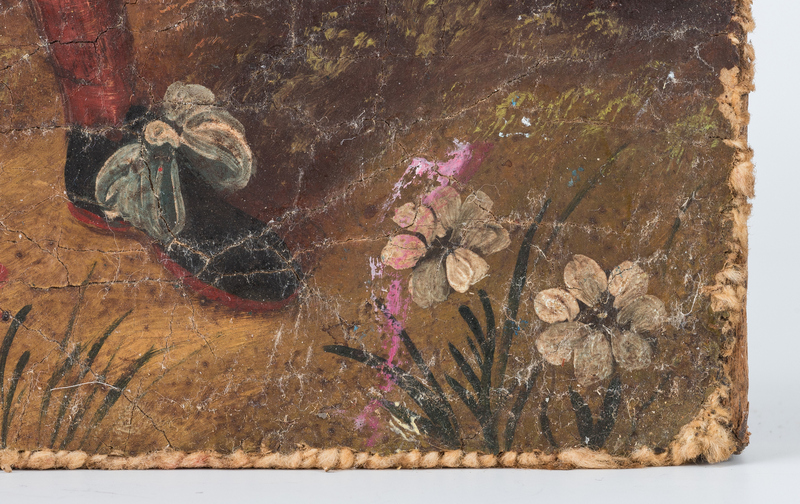 CONDITION: Canvas laid to board, edges cut. 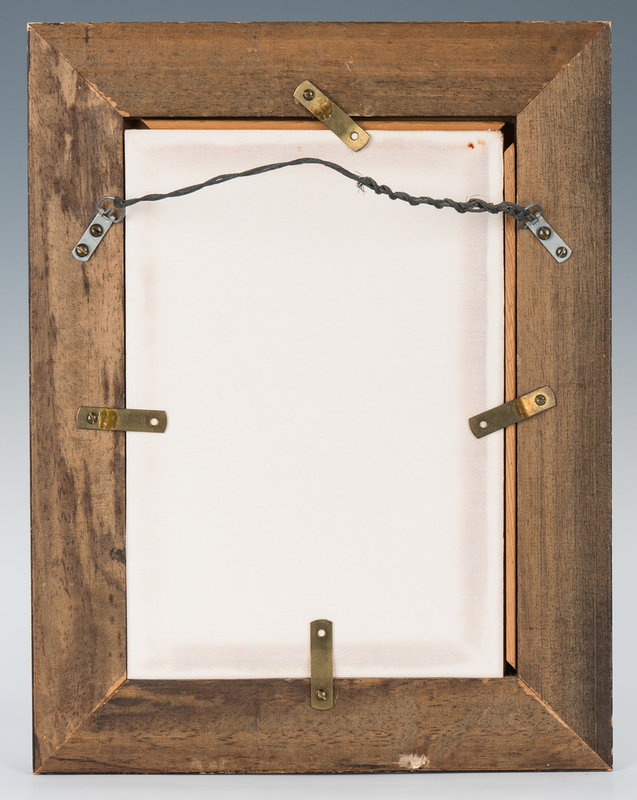 Overall moderate cracquelure with cleavage and 5 areas of loss, largest 1/2"H x 1/4"W. Few scattered pinpoint holes center left. 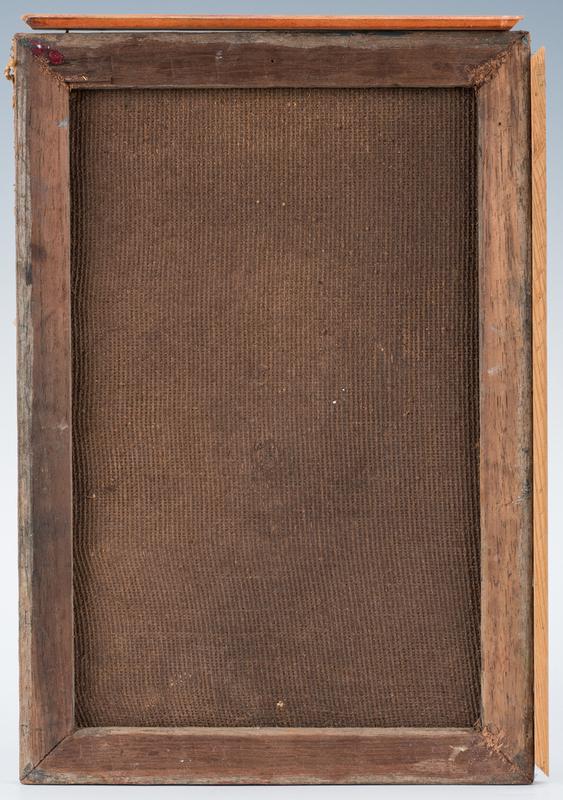 Surface dust.